The power of customer leadership: Holly KramerSuper Retail Group (ASX: SUL) has confirmed former Foster’s marketing and experienced retail growth leader, Anthony Heraghty, as its new chief. Heraghty takes up new group managing director and CEO reins at the ASX-listed retail giant from 31 March, succeeding Peter Birtles. 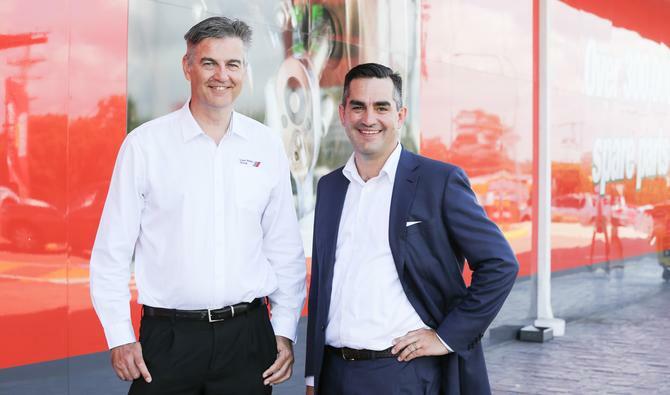 The promotion comes nearly four years after Heraghty joined Super Retail Group’s executive leadership team as MD of the outdoor retailing division. During this time, Heraghty has been jointly responsible for overhauling the Rays and BCF (Boating, Camping and Fishing) businesses, driving a new format as well as store network transformation. He also spearheaded the group’s acquisition of outdoor adventure retailer, Macpac, in April 2018, leading its integration into Rays as well as its A/NZ growth plans. Prior to joining Super Retail Group, Heraghty was group general manager of underwear at Pacific Brands, overseeing the Bonds underwear business. This saw him lead the conversion from a B2B to B2C approach, overseeing the development of its retail network to 75 stores nationally. A marketing and agency leader originally, Heraghty began his career at agencies including George Patterson and McCann-Erickson, before becoming group marketing director for Foster’s Group, a role perceived as one of the largest marketing executive positions of its time. In a statement, Birtles stressed the Super Retail Group was in good hands. Heraghty said was looking forward to the opportunity to navigate the group through the radically changing retail landscape in Australia. He comes to the helm with a $1 million salary package as well as generous incentive programs over the next 12 months, three and five years. “With changing customer expectations, we are being challenged to innovate and modernise our business to ensure we are fit to compete in the even more competitive retail environment of tomorrow,” Heraghty commented. As a result, a key priority for Heraghty is to build a stronger culture of teamwork and pride by focusing on employee experience. “With engaged team members who share the passion of our customers for our products, we are well positioned to grow our business and deliver for shareholders for many years to come,” he added. The appointment comes after a three-month executive search and following the announcement of Birtles’ retirement after an 18-year stint with the retail group. Over this time, Super Retail has built out its omni-channel retailing approach, increased group EBIT by nearly seven-fold, created the BCF business and acquired and embedded both Rebel and Macpac as brands.